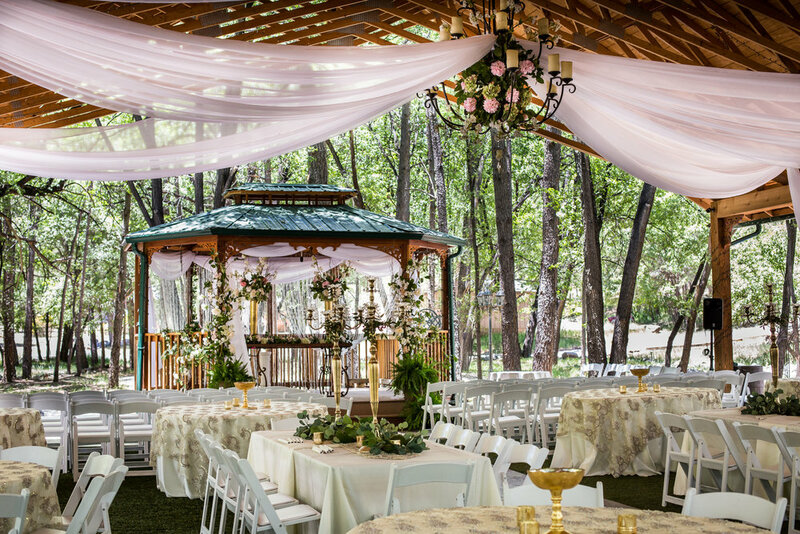 Create a scenic fresh-air experience on your wedding day at Sanctuary on the River in Ruidoso. Pavilion Capacity: 150 seats; Ideal set up is with the front half of the pavilion setup church-style for 75 people facing the gazebo for the ceremony with the back half setup with 5’ round tables and the remaining 75 white garden chairs for the reception. *There is an additional charge of $125.00 to reset the pavilion during an event. For example: If you want 150 chairs church- style for the ceremony, then you want the room reset for 150 for dinner with tables and chairs. 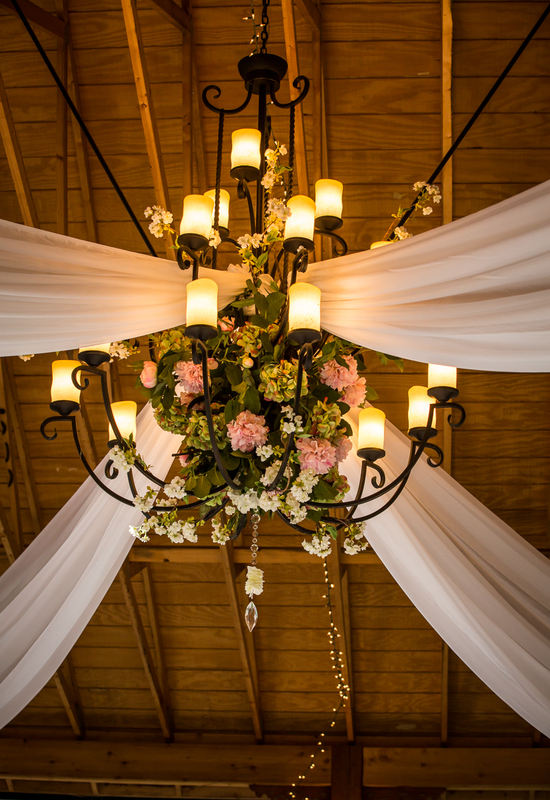 For weddings with over 100 guests, on-site security and an approved off-site parking plan/shuttle service to insure a safe and successful event may be required.